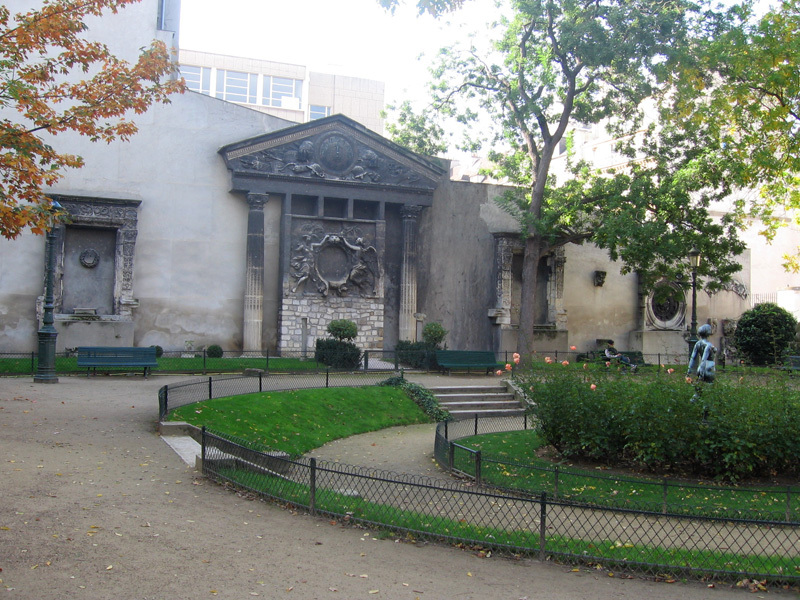 Square Georges-Caïn is a lovely hidden little park in in the 3rd arrondissement, and one of the most calm and peaceful places you'll find in the entire city. 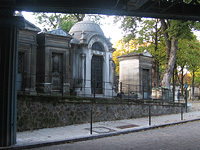 The park is located behind the Musée Carnavalet on a small quiet street, Rue Payenne. I've never seen this park get crowded at all, and you can usually get a nice spot on a bench pretty easily. There are a lot of big trees, and it's really nice to stop by here to sit in the shade on a warm day. My pictures happen to be from Autumn but the park is beautiful all year round. 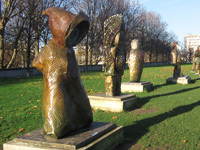 The main distinguishing feature of the park is the collection of Renaissance-era stones and sculptures and building fragments scattered near the outer walls. 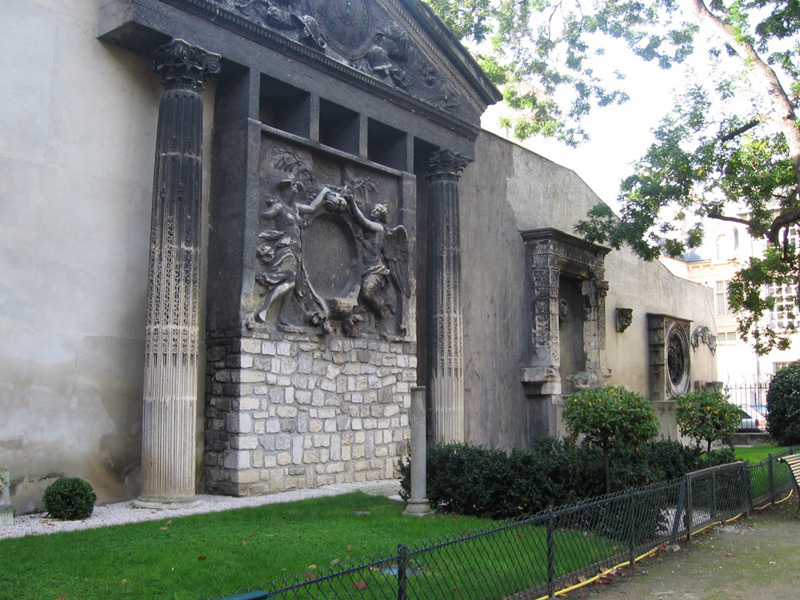 Some of these relics comes from the original Hôtel de Ville (not to be confused with the reconstructed version you'll see in central Paris today) and the Palais des Tuileries; both were destroyed in 1871.
Who was Georges Caïn? 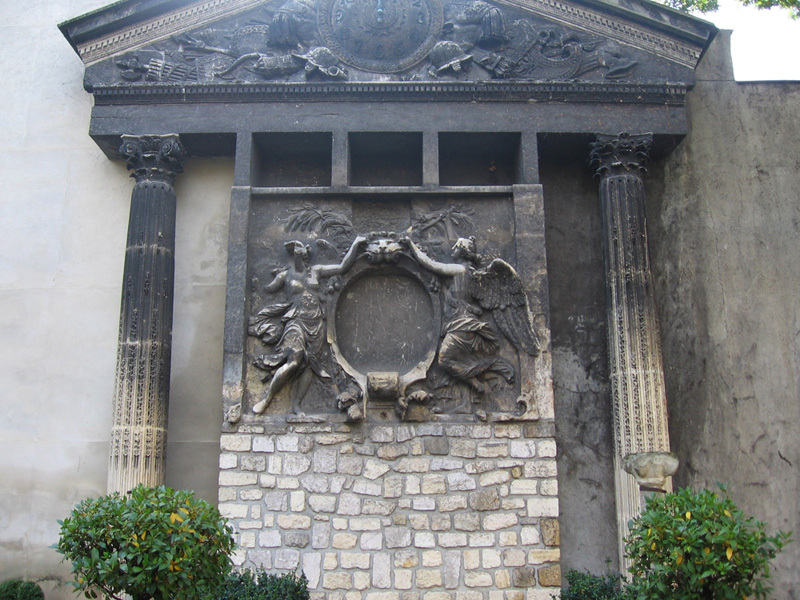 I had to look him up: he was "a French painter, illustrator and writer, who specialized in the history of Paris, its monuments and its theaters." I bet he'd be very happy to have this lovely park named after him. The explanation on this sign is pretty long and I won't bore you with a full translation, but the basic gist is that the park was designed with a careful balance of archeological relics and green space in mind. It talks about how shadow is important to the arrangement, and it even mentions how they chose pastel color flowers to balance nicely with the relics, as "colors that are too bright would monopoloize the view of the passer by." It really works; the overall effect is really beautiful and peaceful. Why is this park called a "Square," in English? 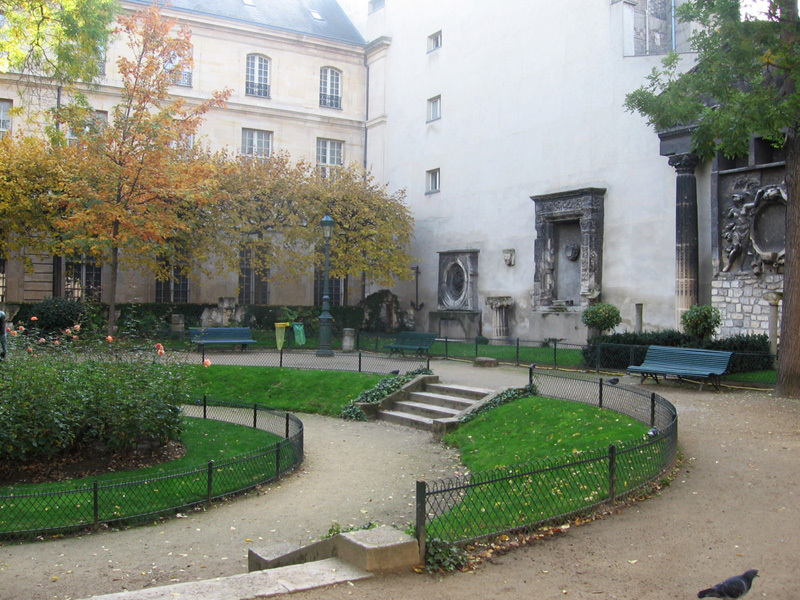 I have absolutely no idea, and I personally have never noticed any other parks in Paris with the name Square. 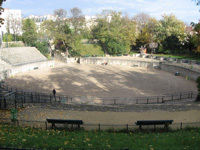 However, I just entered "square" in Google Maps for Paris and several other parks called "Square [Something]" came up! Interesting. 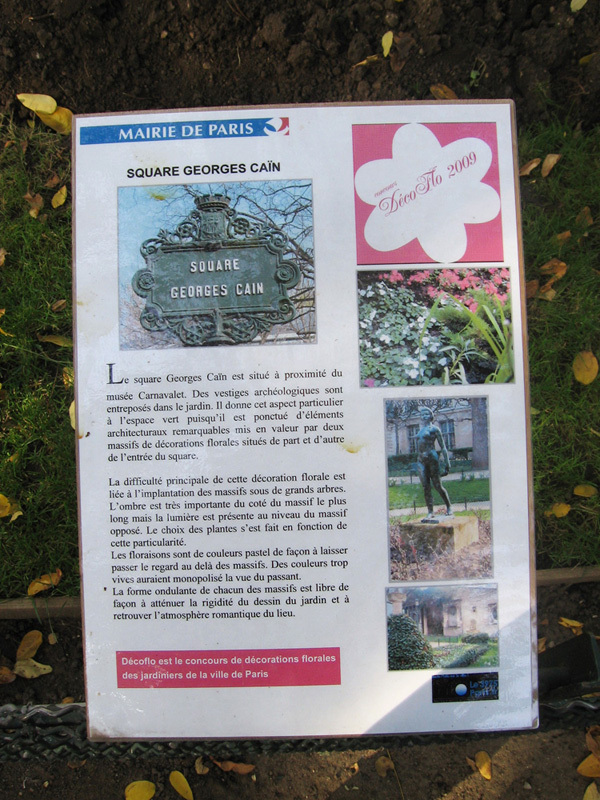 It's not like the French don't have their own word for square; it's carré, and come to think of it I've never seen any parks in Paris called a carré. 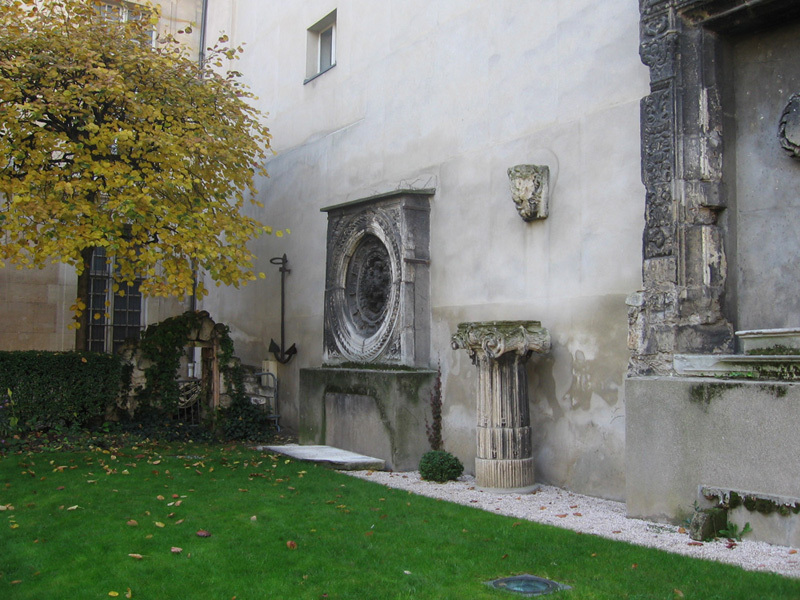 The square courtyard in the Louvre is called the Cour Carré, but in this case carré is used as an adjective; the name simply means "the square courtyard." 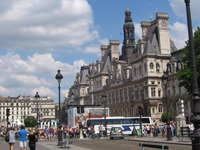 And regarding the word "square" as a noun, to further complicate matters, usually the things we would call a "town square" in English are called a "place" in French. Okay, I'll shut up about this now. My brain is basically doing this kind of thing with French words and names all the time and I try to spare you from having to hear about it as much as possible. 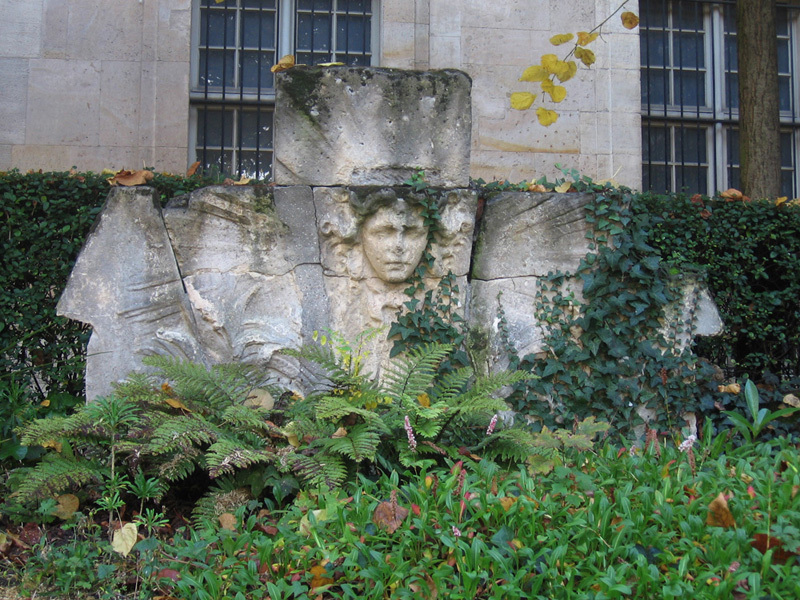 In closing, Square Georges-Caïn is a perfect place to sit and reflect on French words and names for hours upon hours and drive yourself crazy. The end. 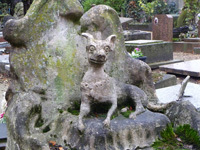 Cemetery for dogs and other pets.